It's that time of year again when your calendar is packed with family dinners, get-together's with friends, and plans with loved ones as everyone gets into the holiday spirit. While the holiday season can be packed with cheer and fun, it can also be stressful. Whether you're putting together a meal for a large crowd or looking for places to host your annual holiday party, you may be feeling over your head with all the planning that needs to be done. Thankfully, Trattoria Lisina can be the answer to your holiday planning woes. Read on to see just three of the reasons to visit our authentic Italian restaurant this holiday season, and contact us today to make your reservation! Whether you're baking cookies for your friends, preparing a feast for your in-laws, or making a dish for your work's potluck, the holidays often come with extended time in the kitchen. By dining at Trattoria Lisina, you can take a break from the kitchen for a night and just relax! Get off your feet in our Italian-style dining room, have a glass of wine, and enjoy conversation with your family and friends. By dining out, you can be a part of the fun and let others do the cooking. Our menu has so many varieties of classic Italian favorites that will satisfy even the pickiest of eaters. Whether you're dining with your young cousins or enjoying a night out with your friends, our menu has Italian classics that everyone can enjoy. Try one of our freshly-made pasta dishes or opt for our Bistecca alla Fiorentina – no matter what catches your attention, our experienced chefs use the freshest ingredients to ensure everything on our menu is delicious. Anyone who's hosted a party or dinner knows the stress that goes into the decorations, cooking, and making sure your guests are happy throughout the night. When you dine at Trattoria Lisina, we do all this work for you! Our experienced staff can accommodate groups of any size, from an intimate dinner with close friends to a larger family reunion. 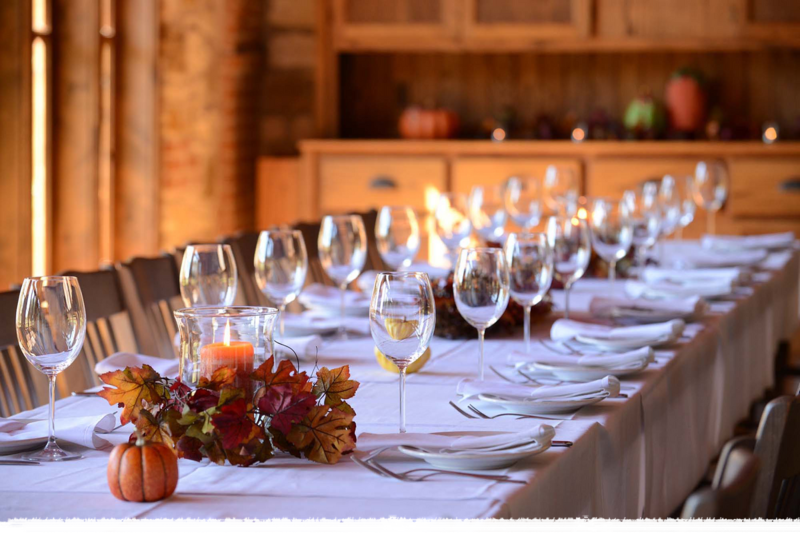 If you're looking for a place to host a larger get-together, just call to speak with one of our event planners, and we'll find the perfect dining venue for you. Our semi-private Veranda is perfect for larger groups, and provides a beautiful view of our gardens and grounds. From our delicious Italian cuisine to our family-friendly atmosphere, Trattoria Lisina can transport you to Italy just minutes away from downtown Austin. This holiday season, count on Trattoria Lisina to make entertaining a breeze. Contact us today to make a reservation, and prepare to make memories with your loved ones at the Mandola Estate.